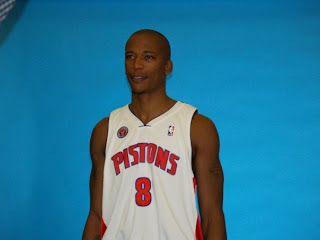 IP's own Brian St-Pierre was in attendance this week for the Pistons Media Day. Here's a look at some pictures from the event and some input on the players/coaches featured. Kuester is a first-time head coach but has plenty of experience as an assistant coach in the NBA, and the players appear to have much more confidence in him than they did with last year's coach, Michael Curry. 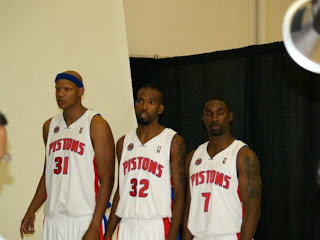 Atkins and Baston are auditioning for the Pistons' 15th and final roster spot during the 2009 NBA Preseason. 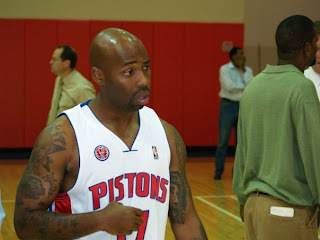 Atkins is a former starting point guard for Detroit and has the experience and shooting-ability to potentially earn a guaranteed roster spot. The cornerstone of Detroit's 2004 NBA Championship, Ben Wallace returns to the Pistons and will attempt to earn the role of starting center. 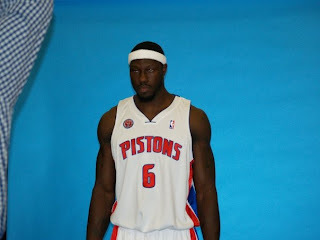 However, it's Kwame Brown who is being projected to start in the middle for the Pistons this season. Villanueva, Hamilton and Gordon form a UConn trio for the Pistons this year. Villanueva is expected to be named the team's starting power forward, while Hamilton and Gordon will compete for the starting shooting guard spot. Who's going to end up starting at two-guard? How about at center? Does Atkins deserve the final roster spot? 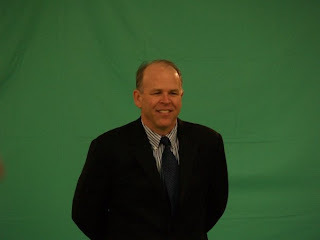 Is Kuester going to pan out as head coach?